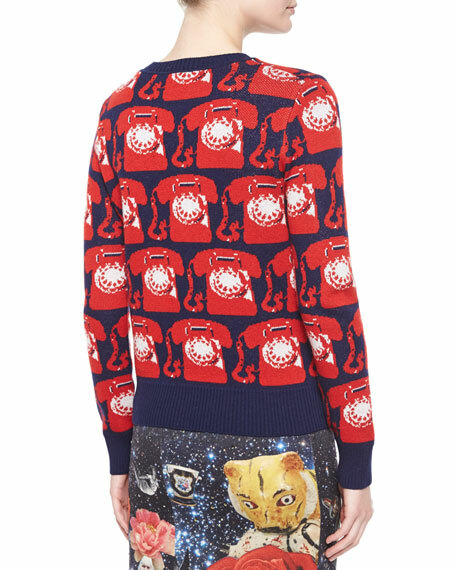 Libertine cashmere sweater with repeating rotary phone graphic. Approx. measurements: 23.5"L center back to hem. 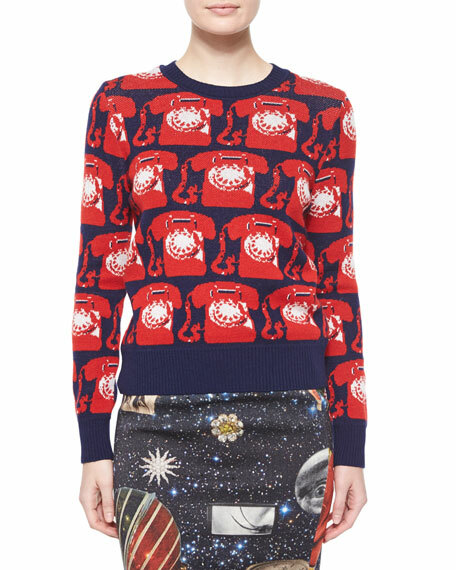 For in-store inquiries, use sku #1558816.